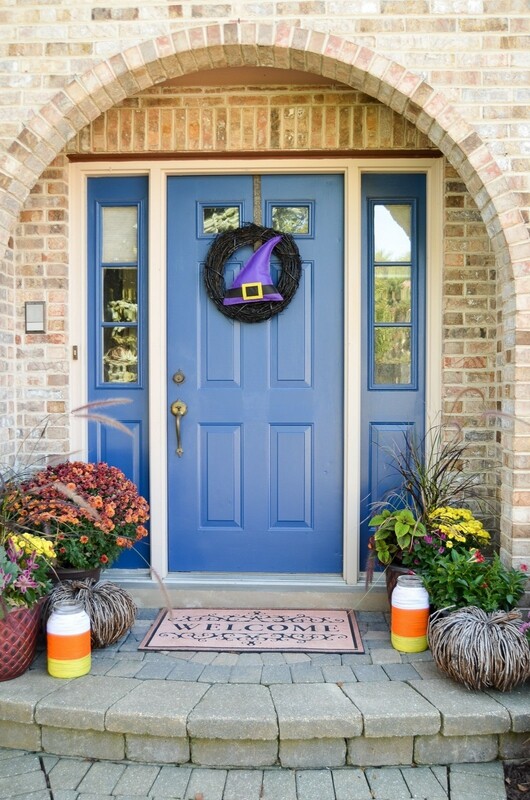 Make fun candy corn luminarias for fall and Halloween! 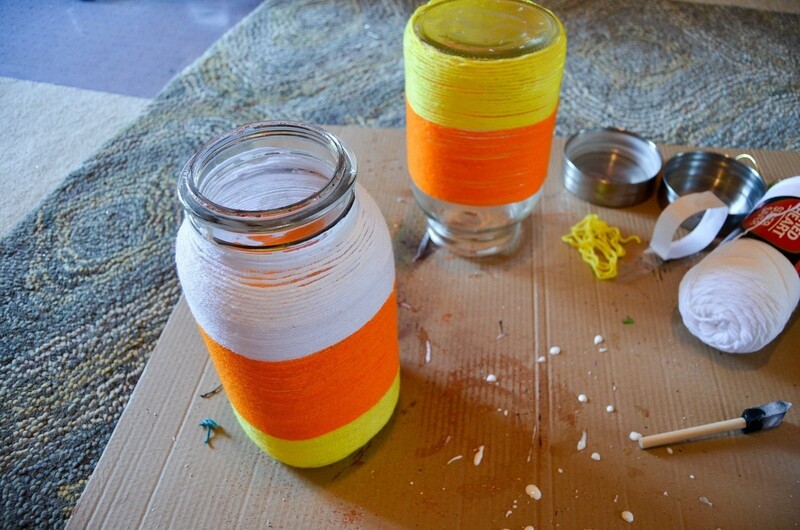 You don't have to like the candy to love these candy corn luminarias! 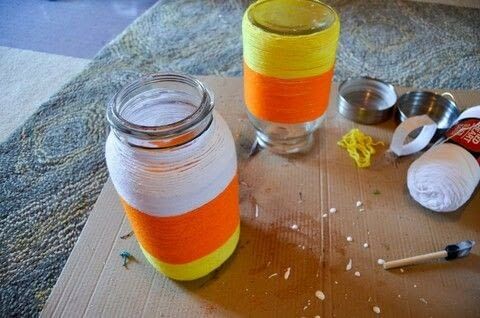 Paint decoupage on the bottom of your jar. 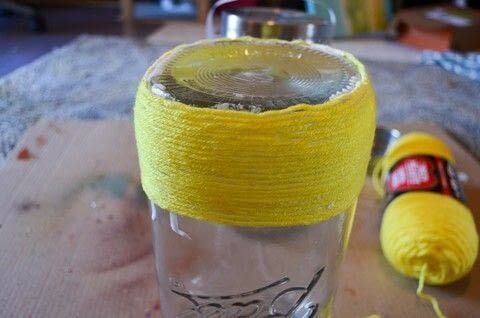 Start wrapping your yellow yarn. 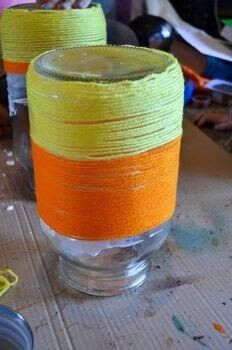 Paint more decoupage and wrap your orange yarn. 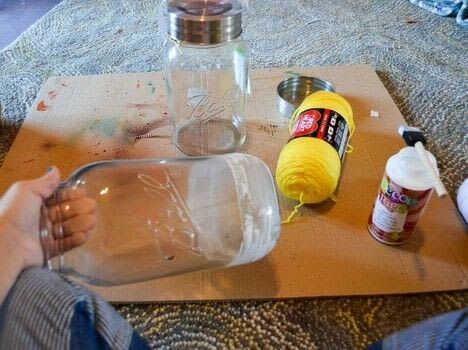 Finish up with more decoupage and your white yarn. 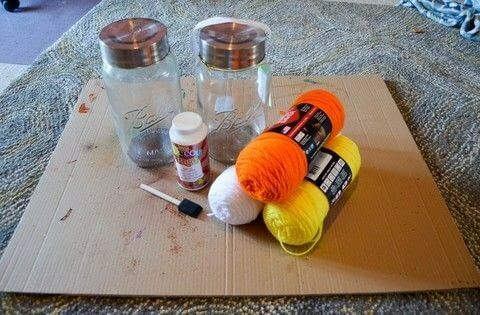 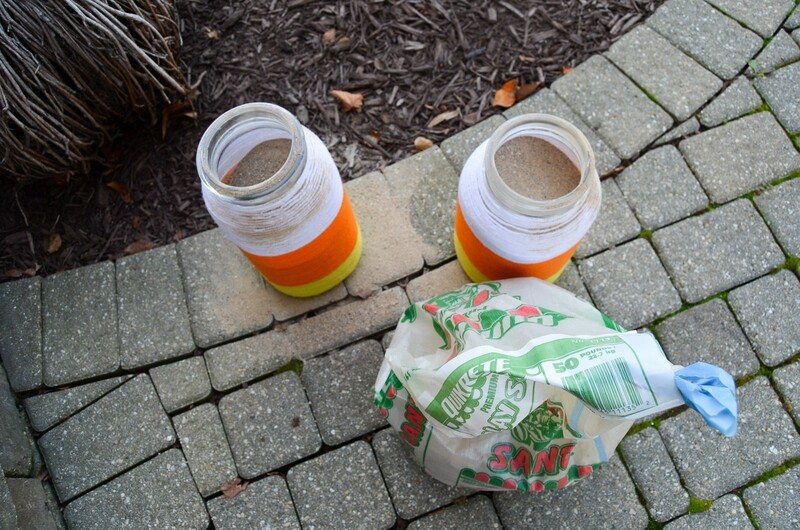 Add some sand to your jars for weight. 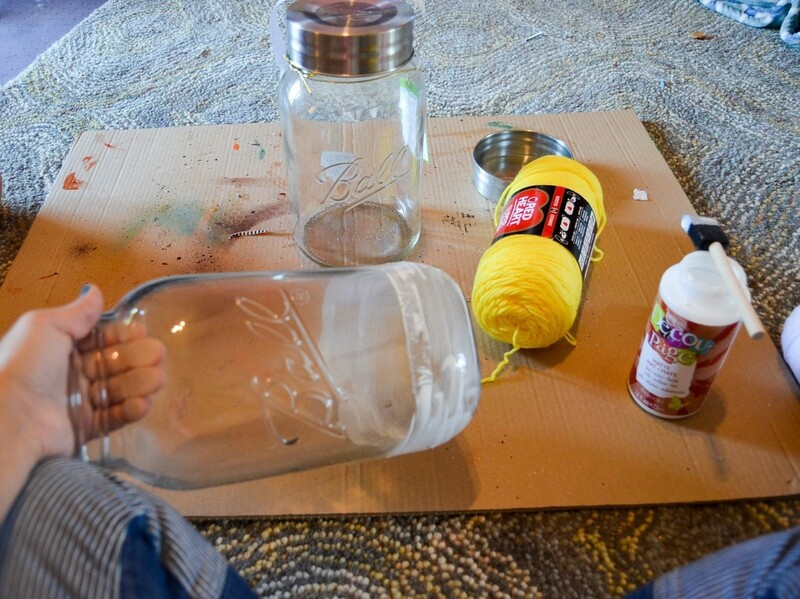 You can also add a battery operated candle if you'd like! 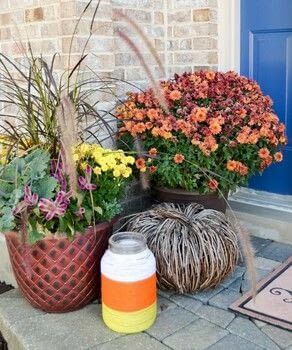 Place them where you want and enjoy!